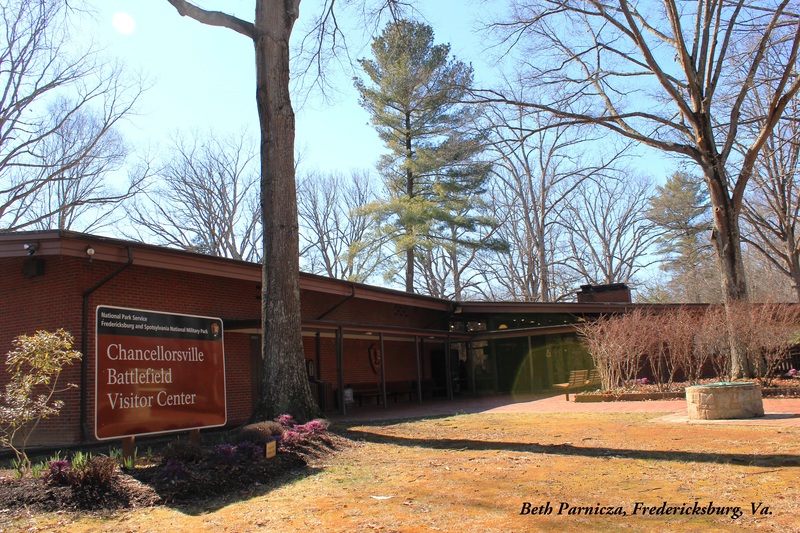 The Chancellorsville Battlefield Visitor Center stands today as the park’s best model of the wave of modernism that swept the National Park Service in preparation for its 50th anniversary in 1966. It’s with a touch of nostalgia and a great desire to better understand previous park historians that park staff recently spent several days dismantling the last large-scale vestiges of a critical period in the park’s history: the “Mission 66” exhibits at the Chancellorsville Battlefield Visitor Center and the Fredericksburg Battlefield Visitor Center. 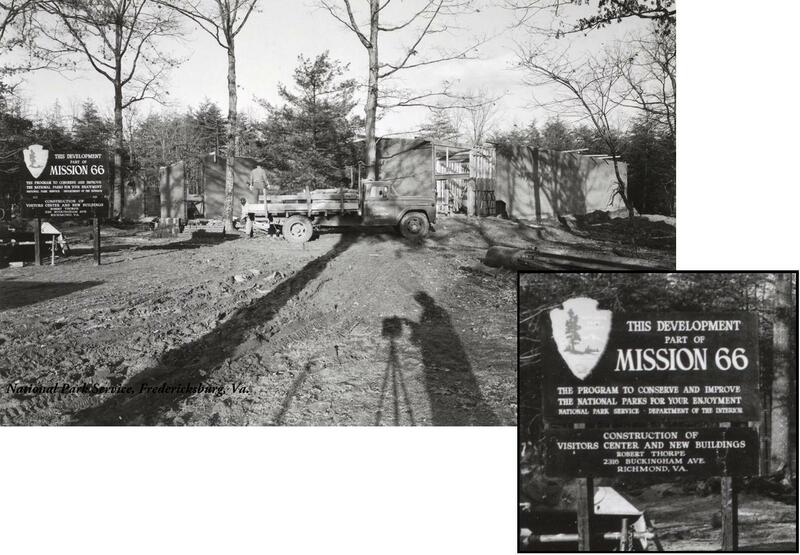 If you have set foot in the park over the last 50 years, your experience has been primarily shaped by two dramatic efforts to mold the park: the War Department and Civilian Conservation Corps period and the Mission 66 initiative. As a new park in the 1930s, much of Fredericksburg and Spotsylvania NMP’s lasting infrastructure—roads, trails, and several buildings—dates back to War Department planning and the CCC’s extensive work. With the dissolution of the CCC and the end of World War II, however, increased visitation demands and a changing society soon rendered the park’s facilities outdated, and parks across the country looked to forge themselves anew for the post-World War II, modern age. The Chancellorsville Battlefield Visitor Center, shown here under construction, was Fredericksburg and Spotsylvania’s highest-profile Mission 66 project, but signs like this one could be seen in parks across the country, heralding the new age of the NPS.